The original Star Fox was released in North America on the Super Nintendo back on March 26th, 1993. A huge success, it cemented itself as one of the flagship franchises for Nintendo. Four years later, on June 30th of 1997, the sequel and reboot Star Fox 64 entered the scene. Lauded for its gameplay, multiple mission paths, and the use of the newly created Rumble Pak, the game was another success for the Star Fox name. The other big achievement it had was also groundbreaking. It brought to life the characters that had formally just made garbled noises. It gave them all personality like never before. For Nintendo in particular, this was huge. Mario had said some whoops and wah-hoos, but Fox McCloud and his crew were speaking in full-blown sentences, one of the first games on the console to have that stamp. I loved every second of it. The characters were so perfectly cast and the story, although essentially a retelling of the SNES game and somewhat thin, was a blast to watch and play though. I would spend my weekends renting a Nintendo 64 from Blockbuster, along with a copy of Star Fox 64, and do nothing but attempt to save the Lylat System over and over again. Now, nearly twenty years and several hit-and-miss sequels later, another Star Fox game is around the corner. Much like the 3DS remake of the 64 classic, the soon-to-be-released Star Fox: Zero has many of the original cast members reprising their roles again, all of whom were absent for the previous entries in the long standing series. 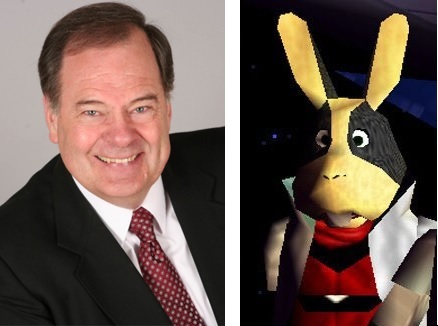 Through the magic of the internet and a lot of digging, I was able to contact all of the original voice actors from Star Fox 64 and ask them about their respective careers and lives. 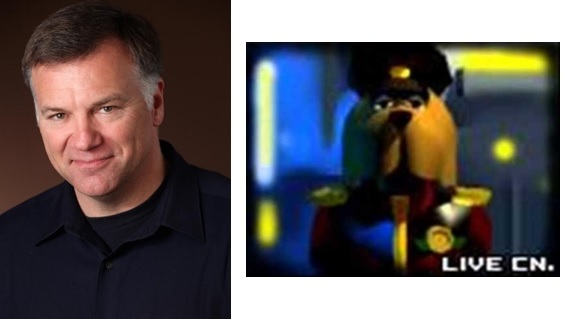 Bill Johns is the voice behind hot-headed Falco Lombardi, the underling Caimen, Andross’ nephew and Star Wolf team member Andrew Oikonny, and the Meteo Crusher Pilot found in the Metro Asteroid Field mission. Now a professor at The Overlake School in Redmond, Washington, he started his teaching career in English and Drama, along with coaching soccer and wrestling, at his old high school in Conyers, Georgia in the ’80s. After studying abroad in Italy, he thought it was time for a change. “When I got back to the Atlanta area, I decided that as much as I loved teaching, I also wanted to do all the things I was asking of my students—’take chances, get out of comfort zones, do courageous things, reach a little farther than I think my arms can stretch. '” And so he did, joining the Academy Theatre in Atlanta and staying on for four years. Eventually missing the joys of his original profession, along with meeting his future wife and novelist Stephanie Kallos, he moved to the Seattle area where he teaches at both The Overlake School and Seattle Film Institute, and also acts on stage, film, and television. 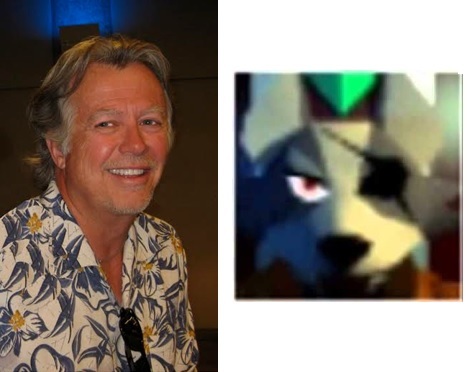 “I started in radio when I was just out of high school.” Jock Blaney, better known as Star Wolf captain and Star Fox’s biggest adversary Wolf O’Donnell, Fox’s old pal Bill Grey, and the Granga Pilot found at the end of the Corneria mission, started out reading hourly local news, weather, and sports in small radio markets. “That has always been what I enjoyed the most, writing and producing commercials. It seemed to offer more of a creative outlet.” After continuing to perfect his craft over the next few years, he was accepted into Mel Blanc’s Audio Media out of Los Angeles. The program consisted of intense workshops for actors and voiceover artists. “It was his training ground for aspiring voiceover actors,” remembers Blaney. He continues to write and produce, having received honors such as the International Broadcasting Award from The Hollywood Radio and Television Society. 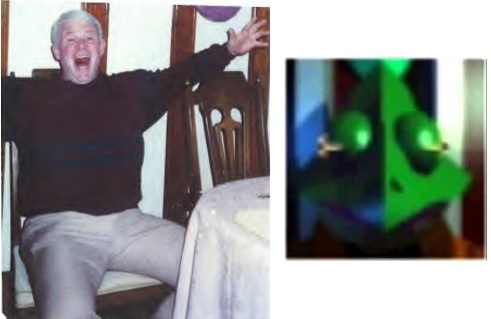 “I recorded my first voiceover demo in 1985 or ’86 but never did anything with it.” Dave White, the man behind the Cornerian Army’s General Pepper, the defector and Star Wolf squad member Pigma Dengar, the ever-helpful Rob 64, and the Attack Carrier Pilot from the secret route of the Corneria mission, started out doing film and theatre work in Seattle. After graduating with a degree in theatre from the University of Washington and cutting another voice demo, it was around 1994 that his newly-hired agent started booking him far more voiceover projects, which he absolutely loved. “It was and still is so exciting to work behind the microphone. Today, voiceover is 95% of my work. Most of my voice work is for TV and radio commercials, TV promos and corporate narration.” Recording from his home studio in Seattle, he still occasionally does on-camera work, such as a small role on Grimm in 2015, as well as directing plays at both of his sons’ high schools. “Holy crap! 1997! That freaked me out for a moment.” -Mike West. Auditions, as well as the recording sessions themselves, have changed a bit from the apparent run-and-gun nature of the ’90s. “I didn’t think much of it,” recalls West. “I read for various parts as the Nintendo folks directed and told me what they wanted the characters to sound like. The next thing I knew, we were recording.” The process itself seems to have been similarly like this across the board, with a good majority of the cast doing their work at Bad Animals Studios and Earforce Studios in Seattle. “There wasn’t a tremendous amount of copy in those early games. I’m pretty sure everything Falco said fit on a page and a half of script, in large font and double spaced,” says Johns. Indeed, the amount of voice work in the finished product is light, but nonetheless impactful. May was very unaware Peppy’s signature lines, like “Do a barrel roll!” or “Use bombs wisely!”, would turn into something so massive. “It was just a gig. I auditioned through my agent, got the job, and had no idea it was going to develop such a following.” Today, simply Google searching “Do a barrel roll” will make the entire screen do a barrel roll. Talk about a following. Coming up with how each character sounded, from Leon’s gentlemanly accent to Pigma’s shrill squeals, was all done pretty simplistically, some just doing a few takes until they found what they wanted. With each character having a relatively small amount of spoken dialog, especially compared to today’s games, the sessions themselves weren’t that long. For Falco, inspiration was pulled from Star Wars. “They showed me a still print of the Falco character and said ‘think Han Solo.’ I guess whatever came out was what they wanted,” says Johns. For Slippy, one character description was all Browne needed. “They said they were looking for Slippy to sound like a young boy, so I kept tweaking my boy voice until they were happy with it.” For West, Fox’s voice came from something he had done previously. “I think someone at Nintendo was a fan of our radio comedy and told me what they had in mind based on something they heard on the air. Simple as that.” Green brought a mix and match approach, especially considering he had the most characters to play. “For Leon I gave them an array of British accents and voice tones. The rest were actor imitations like Slim Pickens and the like.” Although none of them recorded anything at the same time, many of them have been good friends or acquaintances over the years. 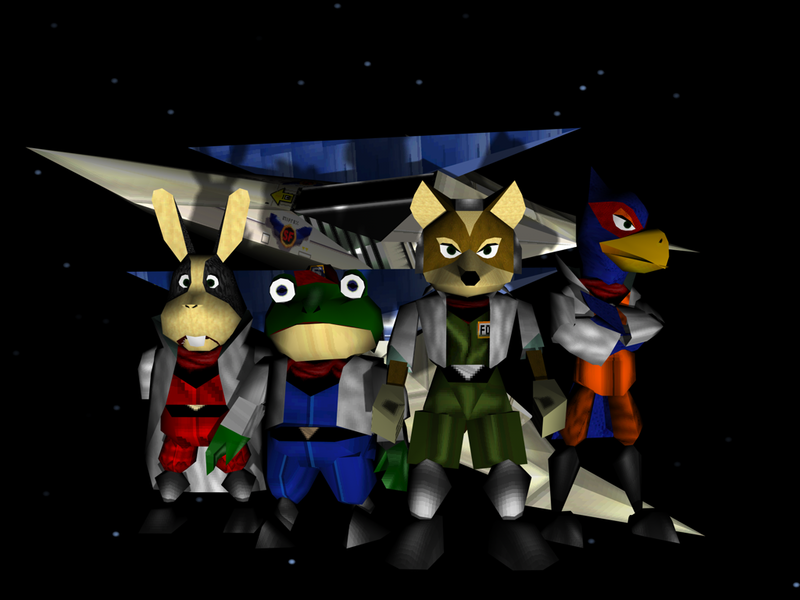 Between 1997 and 2011, there were three other Star Fox related games released: Star Fox Adventures, Star Fox: Assault, and Star Fox Command, along with Super Smash Bros. Melee and Super Smash Bros. Brawl, the latter two of which had Fox and Falco as playable fighters. With the exception of Command, all of these games had voice acting and all of them used completely new voice actors to fill the roles made so famous by the original crew. “I have to admit that I am not a regular game player so I didn’t know what I was getting into or out of! I’m not sure why they switched actors, and I didn’t even know they had more games until they called me back in years later,” West states, his being called back referring to the remake of the 64 game, Star Fox 64 3D for the 3DS in 2011. 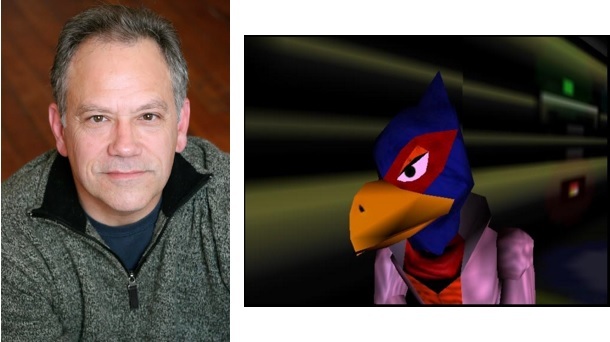 Johns, also not a regular gamer, found out there were sequels through a friend of his, Mark Lund, who happened to have taken over the voice of Falco around 2011. While doing a play together out of Seattle (Lund was doing set design), the topic of voice acting was somehow stumbled upon and they realized they had both voiced the character. One of the younger actors in the play was also in the room during the discussion and wasn’t sold right away. “Star Fox was one of his all-time favorite video game series and at first he didn’t believe us. He pulled out his cell phone and checked us both out and his mouth hit the floor.” To get to act in a play with two Falco Lombardis is truly something to write home about. Listen to Fox from Star Fox 64, and then compare it to Super Smash Bros. for Wii U. As an artist, you often like to view your own work and see the final results. More so, sharing these amazing adventures with your kids can be a milestone. “When the game came out back in 1997, Nintendo was nice enough to send us a few copies,” states West. “I bought a console and my kids played Fox and the other games of that era with their friends. It is always strange hearing your own voice!” Browne’s sentiments were the same. Her husband does the gaming, but she still enjoys watching. “It is a little weird hearing myself, but I mostly think of them as characters and not me,” she says. May bought the game for his grandson, who loved it so much that he brought his grandfather to school for a show and tell and captured the entire class with tales of Peppy Hare. “It’s never weird anymore to hear my own voice since I’ve been doing it for decades,” says a clearly unfazed May. White’s two sons, Connor and Ian, are both following in their father’s footsteps. “Connor has been doing voiceover since he was about 14 and since graduating college last spring, is pursuing it as a career. Ian started young but hasn’t done much in the last few years. He is currently in college and may get back into it later when he has more time.” White does voice work on a large number of political ads, thrilled about the hectic schedule. “2016 should be a busy one for that.” He hopes to do more video game voices in the future, but has to be careful about what he chooses for the sake of his pipes. “I work every day with ongoing voiceover clients and can’t afford to abuse my voice, as I have on many games in the past.” Thankfully, General Pepper retains his stern yet kind military tone in his latest outing. Johns has three children, all of which he is infinitely proud of. “My youngest is a high school senior and does want to study theatre in college. I’m really excited to see where it leads him.” Along with his teaching, he continues to be in plays, direct them, and has a recurring role in the crowd funded TV series JourneyQuest. Green’s daughter is apparently a wonderful singer. “Powerful pipes! She has no interest in acting or voiceover work. The world’s loss!” He continues to be disconnected from social media and enjoying retirement immensely. “Live long and prosper!” he finished. Wow! Well done! Accurate, too. I saw many old pals (Dave White and I go wayyyyy back) here – ’twas all good. Thanks so much Rick! Glad you enjoyed it and thrilled I got to talk with you! Excellent article! Great to learn about these voices that I heard so many times as a kid! Great article Drew! Nice to read about the crew. You nailed it. We hope everyone enjoys the game! Much appreciated Mike! Really happy you liked it, and thanks a ton for taking the time to talk to me! This is really so cool! Great article overall. Very detailed and thorough! Thanks a ton Kevin! It was a blast to talk to everyone so I’m glad you enjoyed! Drew, Fun article about the original cast. What Bill said is true about the play, though I was the set designer not in the show. And I had no idea I was replacing Bill ( & others) as Falco until I was doing the gig. Or why? Glad you gave some press to Mike. Dave and Llyssa as well as Bill and Rick ( whom I also know). Also the name is Mark Lund. Wow, I cannot believe I spelled your name MAKE when I clearly spelled it correctly two paragraphs before. So sorry for that, I’ve corrected my error! Thanks for the insight between you two! I’m jealous you know all the other talented cast members. I’ll have to get you all together one day for a big voiceover show. Whoa, this is one of the coolest Star Fox articles I’ve read. Fantastic job! I’m a super huge fan and 64 was probably the first game with voice acting I ever played. It still stands as one of the most quotable games ever haha. Props to all the original actors — maybe someday I’ll be able to hear everyone in their respective roles in the same game once again. Also, side note, Star Fox Zero is AWESOME so far and the VAs did great on that. Here’s hoping this is the start of many more Star Fox games in the future! Thanks so much Max! Really glad you enjoyed it. The voice acting has stuck with me since I was a kid, too. Always loved quoting it! Happy to hear Zero is good! Can’t wait to get it! Wow! Great interview! Just wondering, how did you even manage to contact Jay Green? It seems pretty hard to find any information on him. Thanks so much! Yeah, he was the hardest one by far. After a lot of digging I managed to find a number for him through other people and got a hold of him that way.